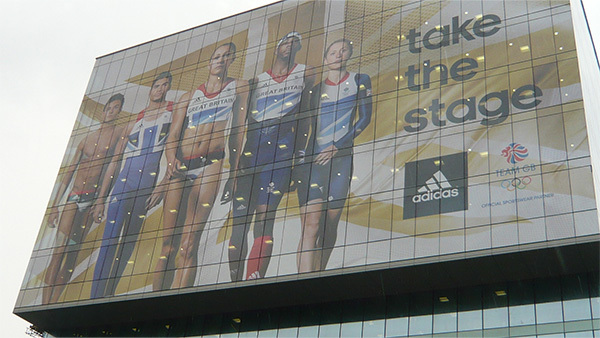 To help create awareness of the Adidas sponsorship of Team GB for the London 2012 Olympics, we were asked to produce and install large scale imagery on buildings across the country. 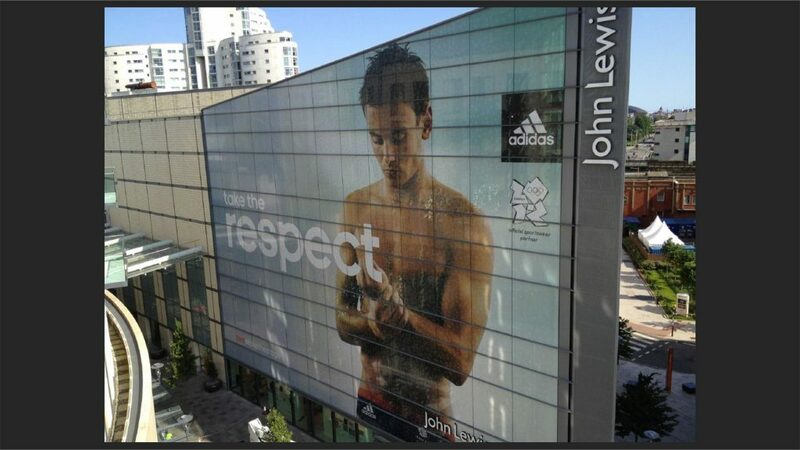 Six premium athletes were selected, and their portraits were wrapped across prime locations in London and their home city. One of the London locations was the Westfield Management Centre near the Olympic Park entrance. 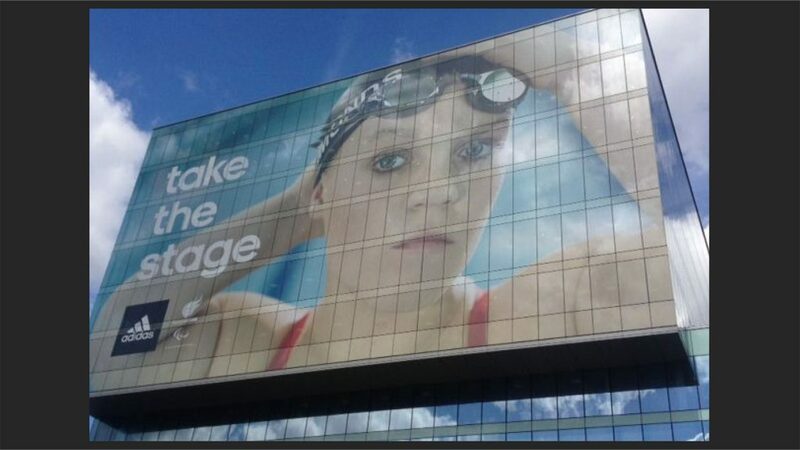 The impactful imagery was on display to thousands of passers-by in London, Sheffield and Cardiff for the duration of the Olympics and Paralympic games.